I am Marilyn Petrie and I live in Newlands, Wellington. 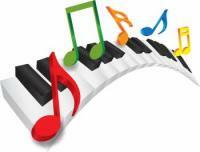 I am a piano teacher who has taught practical piano skills and music theory since 1982. My students have ranged in age from 3 years old to adults in both Christchurch and Wellington. I am a registered piano teacher and belong to the Institute of Registered Music Teachers of New Zealand. I am also a registered teacher in the Suzuki Method of music teaching. My own three children were taught using both the Suzuki method and traditional methods. I teach younger children by the Suzuki Method. This method uses the philosophy of learning an instrument by developing a student's aural and technical skills before learning to interpret written musical notation. I also encourage students to become fluent in their understanding of written musical notation, and help them to overcome its difficulties by enabling them to understand it's various patterns. I teach the students to develop a knowledge of musical history, theory, and piano technical skills and I use iPad apps to enhance these skills. My students have experience in the performance of pieces of all musical styles; from baroque, classical, romantic, to jazz and popular music. Ongoing professional development is important to me; for example in 2015 I attended the IRMT music teachers conference in Wellington, and the Australasian Piano Pedagogy Conference in Melbourne as well as various teaching master classes. 1988 to 2004 - Itinerant piano teacher at St Patrick's College in Christchurch. 1984 to 2004 - Piano teacher in my home studio in Christchurch. 1991 to 1997 - Theory teacher to violin students at the Christchurch School of Instrumental music. 2005 to the present day - Itinerant piano teacher at Queen Margaret College, Thorndon, Wellington. My students range from year 1 to year 13 and have taken part in school recitals, and have sat ABRSM music exams as well as NCEA music exams with successful outcomes. 2005 to the present day - Piano teacher in my home studio in Newlands Wellington. My students are from preschool to year 13 and at levels from beginner to grade 8. They perform in two studio recitals a year as well as participating in performances at local retirement villages. LTCL Licentiate diploma from the Trinity College, London, which included a practical piano exam, a theory paper and paper on the principles of music pedagogy. NZSI qualification in the Suzuki Method of music teaching, which included a practical piano exam and teaching skills as well as a written essay on the philosophy of the Suzuki Method. I have attended classes at Christchurch university in music theory and history. I have many years of developing musical pedagogy skills though my experience in itinerant teaching and in home studios. I have also given master classes at various Suzuki workshops and camps.